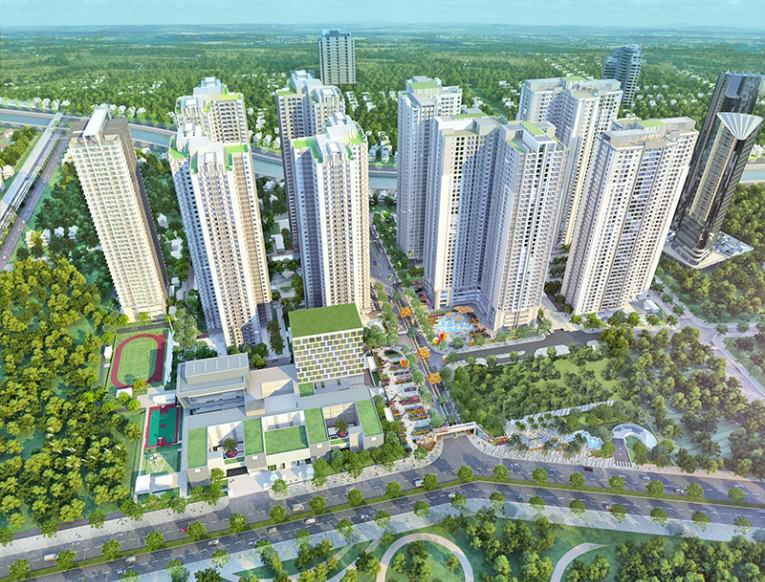 Goldmark City apartments is a self-contained urban complex built on an area of 12 hectares. It will be a shopping paradise including 5-storey commercial center on thousands of square meters; 9 blocks of 40 floors with nearly 5,000 apartments and luxury amenities such as cinemas, indoor and outdoor pools, gym, spa … With a construction density of 23.3%, the project will bring to visitors clean rows of green space, full of light and closeness to nature. 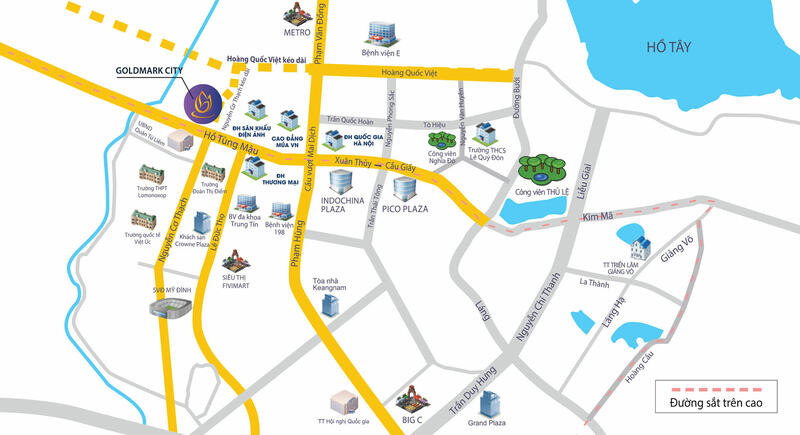 Situated at 136 Ho Tung Mau street in the west of Hanoi, Goldmark City covers 12 hectare and has ideal location next to the under construction elevated railway, a great convenience for transport access in and out of the new city project location. – All square, streets, sidewalks, flower gardens, forests, grass hills, etc. within Goldmark City are the artworks with deep characteristics of nature. – You will find that it is hard to resist the enjoyment of being walked, relaxed and enjoyed these artworks every day. – Children can play, learn and create at the Experimental garden, creative timber garden and grass sliding hill.